March 28, 2016 (Chicago, IL) - Q-BBQ, a fast-casual Michelin Guide and Bib Gourmand-winning restaurant, knows all good things come in 5’s - The Jackson 5, five-star ratings, high-fives, and of course the Committee of Five that drafted the Declaration of Independence. For Q-BBQ, lucky number five resides in the heart of downtown Oak Park, IL with the grand opening of their 5th store set for Wednesday, April 13th. The menu will feature their 22-hour hickory smoked Brisket, dry-rubbed Memphis chicken wings, 4-Cheese Mac-Q-Roni, and of course their award winning ("always-smoked, never-broiled") ribs, which won the "People's Choice" award at the 2015 Ribfest Chicago. The restaurant is located in downtown Oak Park: 124 N. Marion Street, Oak Park, IL 60301 (just South of Lake Street). Michael LaPidus, owner of Q-BBQ, knows it's about more than just making great food. "It's our legendary service that drives who we are. BBQ is a really, really enjoyable meal that's meant to be shared with family and friends and neighbors. We've become an active part of the neighborhoods in the Chicago area and we are really excited to join the Oak Park community." Q-BBQ specializes in authentic BBQ traditions from Memphis, the Carolinas, Texas, and Kansas City, and has added its own signature style to create a familiar yet surprising menu that is both contemporary as well as true to the legacy of "America's original comfort food." The menu features BBQ delicacies like brisket burnt ends, traditional dry rubbed chicken wings, homemade sides made fresh daily, deep fried corn fritters ("Hush Pups") and signature sauces such as Memphis Sweet, Texas Spicy, and North Carolina Vinegar. Additionally, Q-BBQ specializes in off-site catering. Editor Note: To schedule an interview, high res images, or to come to the restaurant to sample the menu please contact Amelia Dellos at amelia@agencythresixty.com. Ribs, always smoked, never broiled. Pulled Chicken Sandwich, Q-Style of course. Wings, Memphis style or spicy! 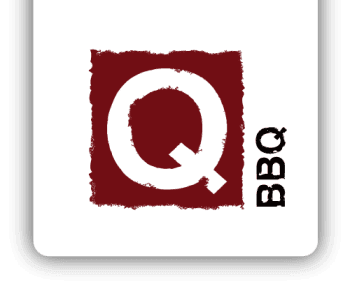 Q-BBQ is a fast-casual Michelin Guide Bib Gourmand-winning restaurant (2012, 2013) that specializes in authentic barbeque, featuring smoked Texas brisket, Carolina pulled pork, Memphis dry rub chicken wings and signature homemade sides such as Hush Puppies and Mac-Q-roni. The counter-service, fine casual restaurant has locations in downtown LaGrange, downtown Naperville, Chicago's Lakeview neighborhood, Schererville, IN and now in Oak Park. Q-BBQ offers beer and wine, take-out, and catering, and the Lakeview location offers delivery, plus retail sales of its three signature sauces. For more information, visit www.Q-BBQ.com, Facebook.com/EatQBBQ, or Twitter.com/EatQBBQ.